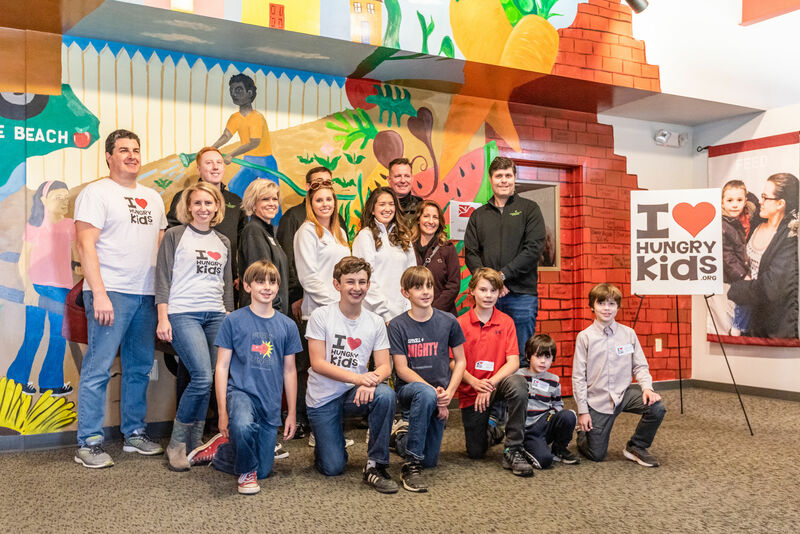 Crescent Homes opened the 2019 year of giving with some hands-on action alongside the local Charleston nonprofit, I Heart Hungry Kids. 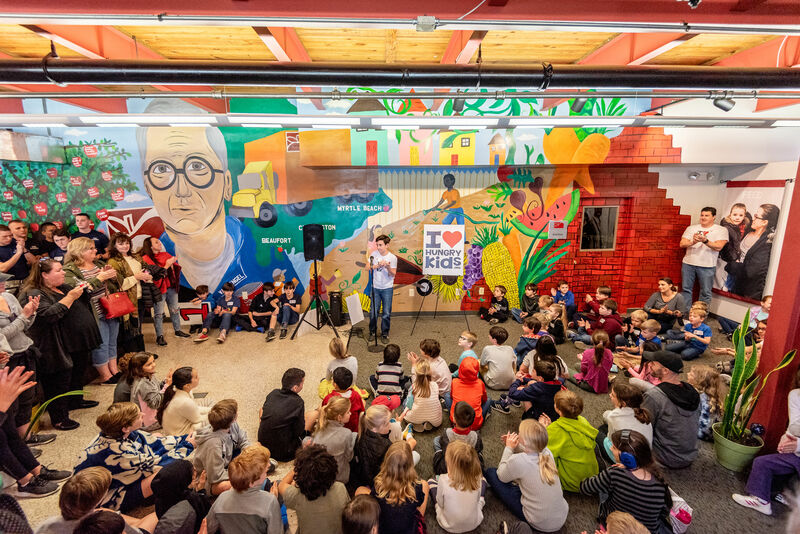 The foundation was started in 2013 by Jackson Silverman, then just 7 years old, as a way to involve kids within the community to fight childhood hunger. Jackson teamed up with the Lowcountry Food Bank and their “Backpack Buddies” program, which sends home a healthy meal on Fridays for children who rely on school meals for nutrition. 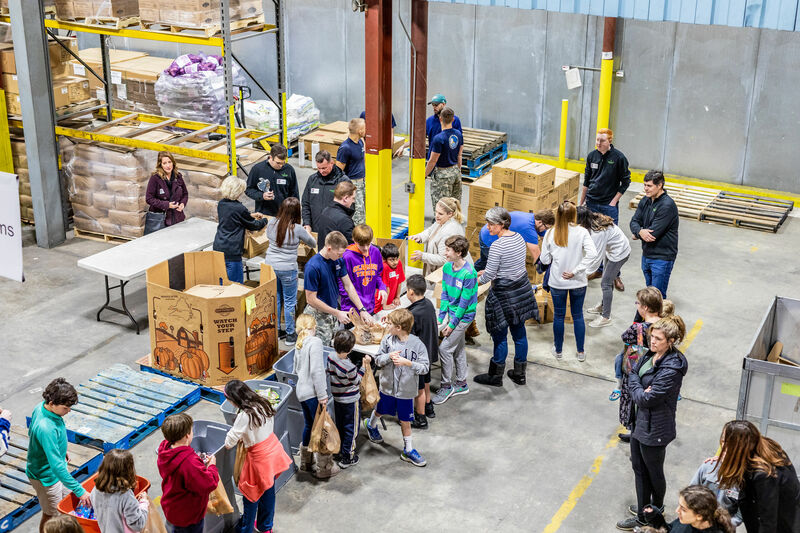 By enlisting children to participate in a monthly packing party organized by I Heart Hungry Kids at the Lowcountry Food Bank, the group has been able to increase the number of meals distributed to over 250,000. The packing parties rely on kid volunteers to pack several healthy food options into bags. Each volunteer has a specific job, with the adults helping with the heavy lifting and supervision. The children even write notes to go in each of the lunches, and Jackson visits schools and speaks publicly in order to spread awareness and raise money for the program. On Sunday, January 13, several Crescent Homes team members, including CEO Ted Terry and his sons, volunteered at one of the group’s packing parties, helping to pack 10,000 bag lunches for Lowcountry children in need. I Heart Hungry Kids was one of the five local nonprofits selected by GIVE in Q4 of 2018. Crescent Homes launched the GIVE program in 2017 as a way to give back to the community. Each quarter, the company picks 5 new Charleston-based foundations, pledging $250 for every home sold. New home builders are able to choose which group will receive a donation in their name. In addition to donating their time and energy, Crescent Homes also presented I Heart Hungry Kids with a check for $6,950 at the event. In addition to monetary donations, Crescent Homes plans to dedicate time to a new nonprofit each quarter. To be considered or recommend a nonprofit organization, please contact give@crescenthomes.net.